There’s no such thing as a sure bet in Magic finance, though there’s a lot of cards that are pretty close. Looking at Magic Origins from a financial strategy perspective rather than a nostalgia perspective makes me feel like this set is mostly a trap. We have the obvious turds like Soulblade Djinn, a rare that you might be excited to pick up in draft, but you’re going to be disappointed to see in a booster pack. 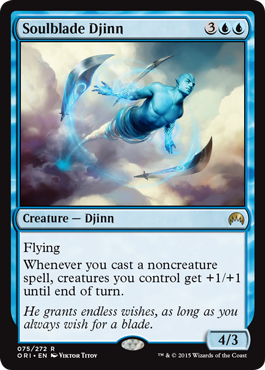 Even a FOIL version of this card is never going to break $1 unless they put some serious effort into Djinn tribal. Yeah, I’ve got a habit of that with the last few sets released into the Standard habitat. There’s a lot of simplified designs that strike a chord and keep Standard a relatively balanced format. But that’s the issue isn’t it? If Standard was a more diverse ecosystem with more unique strategies, we wouldn’t be in a world where any card with a powerful design automatically floats to the top. See: Den Protector + Deathmist Raptor in Standard right now for examples of cards being significantly above the power curve. So what are the standout cards that will rise above the rest? Which cards will make their mark on Standard and possibly go deep into Modern? Evolutionary Leap is preselling for a whopping $7, which may or may not be a reasonable price. Would I buy in? I just did. This is a card that you’re going to want to catch onto before it takes off. Cards like Evolutionary Leap just needs a talented deckbuilder and a few events to hone a rough idea into a working archetype. This card doesn’t slot into any obvious places, thought I expect it’s only a matter of time before this card shows up in a big way in Modern. Strangleroot Geist and Kitchen Finks are obvious places to start, but there’s probably even a world where this card shows up purely as a defensive spell to negate your opponent’s creature removal. Picture this card in Modern Elves. The ability to sacrifice your elves in response to removal or simply to move up the food chain is going to be extremely powerful. This doesn’t even take into account decks built around sacrificing tokens to quickly assemble a combo or search out a single copies of creatures. Hell, I’ve got no problem throwing this into a Naya Token strategy alongside Goblin Rabblemaster or Monastery Mentor. Evolutionary Leap is the exact kind of card I look for when I’m picking out cards to speculate on. Sword of Animist is a card that’s gotten a lot of hype, but you also have to consider the source. Sold out at the $5.99 preorder price with the added footnote of being a card that Ben Bleiweiss predicts “could be a chase rare.” I’m always skeptical of the salesman that tells me their product is a good investment, but in this case it might be. We’re almost a lock for Landfall to return as a mechanic in Battle for Zendikar as I’m sure the plane is still a home to “powerful manas” and all that nonsense, but will it return as something more than overpriced creatures getting +2/+2? That’s hard to say. 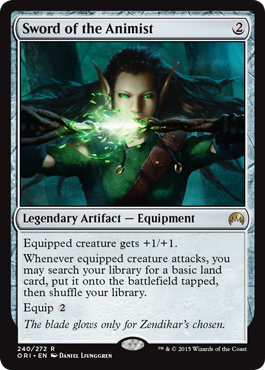 Sword of the Animist is not going to push out cards like Umezawa’s Jitte or Sword of Fire and Ice in Legacy and is likely to be a third or fourth choice at best in most Commander decks that utilize equipment shenanigans. 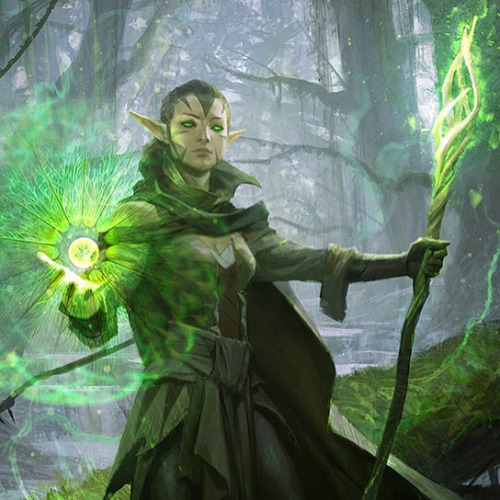 BUT…it does provide continuous ramp which could be a real powerful effect going forward as Wizards has telegraphed that they want to slow things down a bit by bringing in Leaf Gilder over an Elvish Mystic reprint. Sword of the Animist is a card that I’m going to watch closely going forward; I don’t think it can really be worth much more than the current price of $5.99 over the next few months, but if prices slip into the $3-4 range, you can bet I’ll be picking up a few. Hey Abbot!!! 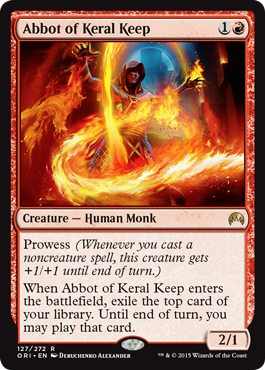 Abbot of Keral Keep might be one of the most underrated cards in the set at $2.99. This is an Elvish Visionary for red aggro decks, except it has two power and Prowess. Even in a cruel world where you hit a land with this card, you’re still not going to feel too bad about as a 2/1 Prowess creature for two mana is not a bad rate at all. This card is clearly not the red Snapcaster Mage that we’ve all been waiting for, but it fits into a variety of archetypes ranging from the Sligh decks to the red/green big mana decks. I know I can’t wait to sleeve this card up in Modern Zoo. Erebos’s Titan is an interesting case. The obvious place to go following this guy is the Gray Merchant of Asphodel, but a mono colored deck has to be extremely powerful in a world full of readily available dual lands and I just don’t know if Mono-black has that kind of arsenal right now. So that leaves us with a semi-difficult to cast 5/5 for four mana that features some awkwardly powerful abilities. The conditional indestructible clause seems like a pure “win more” scenario, but it makes your opponent unable to top deck removal in those instances where you are slogging in the last bits of damage. The return clause seems pretty easy to trigger in a world where people completely ignore the text boxes of things in opposing graveyards, Deathmist Raptors, and delve. But the real question we have with ET is whether or not the card is just another evolution of the unplayed four mana 5/5 creature that black has become so accustomed to seeing. At the $12.49 preorder price that SCG is offering, I am not a buyer. 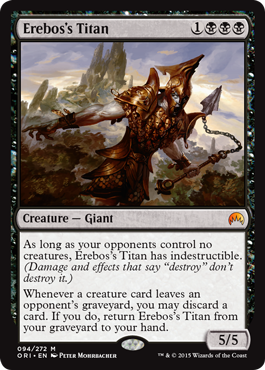 Erebos’s Titan is a card that greatly benefits from a few of the peripherals, as those Devotion cards and Urborg, Tomb of Yawgmoth rotate out that casting cost becomes a major liability and this card begins to look a lot more like a mythic Vengeful Pharaoh. I expect this card to spend most of it’s Standard life in the $4-6 range rather the $10+ we see right now. 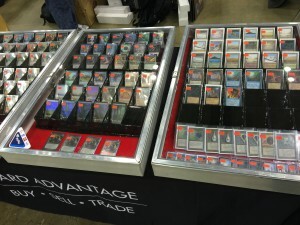 If we somehow get filter land reprints in Battle for Zendikar, then anything becomes possible. Woodland Bellower is at risk of succumbing to an illness that I’ve long called “Ranger of Eos Disorder”. Ranger of Eos was not an exciting card for a very long time, and then they printed Goblin Bushwhacker, Steppe Lynx, and Goblin Guide and we all of the sudden had a deck. There’s another card that suffered from Ranger of Eos Disorder: Stoneforge Mystic. This card dipped all the way down to just above bulk status before Scars of Mirrodin was printed, but all it took was one or two good search targets to put it on the radar, and at the moment Batterskull was spoiled, the writing was on the wall. 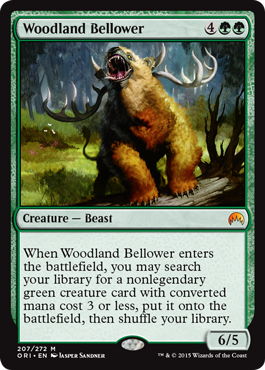 Woodland Bellower is priced like a Titan but comes with none of the bells and whistles we’ve become accustomed to beyond being a largish creature that gets to bring a friend, so he needs a good friend to be of any real value. Who are currently the best friends this Bear/Deer (Beer?) can bring to the battlefield? As you can see, there are PLENTY of very powerful targets for our Woodland friend to befriend. This doesn’t even take into account Commander decks looking for another tutor to help assemble a convoluted creature-based combo. I’m just sad that I’ll never get to run this guy in a Modern Birthing Pod deck. I don’t see many universes where the Beer doesn’t see constructed play. At $5.99 for this Mythic beast, there’s plenty of room to grow as soon as it makes a strong debut, we also have two full blocks worth of new creatures to give this card the boost it needs for a big payoff. “It doesn’t die to Languish” is one way to describe this card. 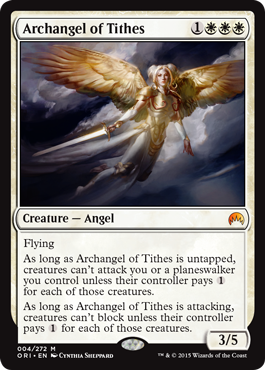 Another card that might be too mana intensive for it’s own good, Archangel of Tithes provides you with a whole lot of text-box for a low low price of just four mana. At $20 I’m required to do the usual song and dance about this being a Mythic Angel and explain that “casuals” love angels and that there’s a ton of players that just collect angels and angel angel angel. That said, is this the usual preorder exploitation of our wing-fetished friends or is this actually a good card? While putting the thumbscrews to your opponent by taxing their every maneuver is powerful, it’s much more powerful when you’re casting creatures that are mana efficient and aggressive… something that doesn’t really include four mana creatures with three power. 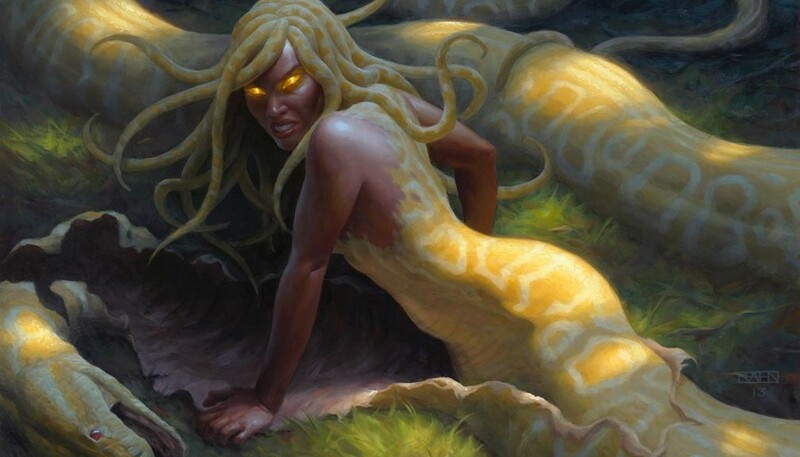 Archangel of Tithes is a creature that could excel in a world where white-weenie strategies were genuinely viable and that has not been the case for a very long time, no matter what Craig Wescoe tells you. 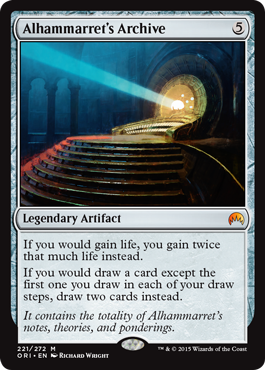 The casting cost is going to be incredibly burdensome and this card gets better only as you overcommit to the board… but it survives Languish! This card, like most angels, has a tax placed on its preorder price, I’d advise against paying it. A lot of this set is just going to be pure bulk; cards like Dark Petition look shiny and new, but then you realize there’s nothing you want to cast for three mana that you’d pay five mana to search up. 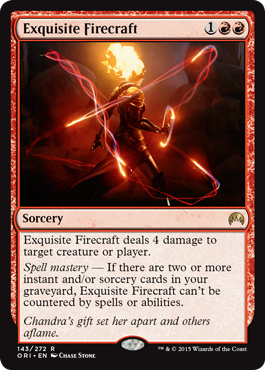 There’s the “premium” bulk like Exquisite Firecraft that are preselling for $4, but ultimately follow the path of Crater’s Claws right into the gutter. Many of the mythics have great casual appeal, so ship them on day one or at the prerelease to the players that are salivating for them. Long term, if you want to pick up the Alhammarat’s Archives of the world, wait until they take their hit. Casual cards usually have the advantage of being popular BEFORE their prices goes up, because the players are more… err, casual about picking them up. If there’s any other cards you’re interested in my thoughts on from this set, feel free to ask in the comments section below.